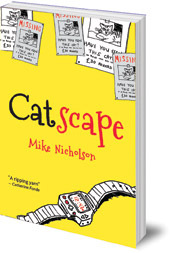 Mike Nicholson was the winner of the Kelpies Prize 2005 for new Scottish writing for children. A member of local writing group Broadside, he based Catscape, his first book, in his home neighbourhood of Comely Bank, Edinburgh. He has since published another novel for children, Grimm, and two Scottish picture books, Thistle Street and Thistle Sands.